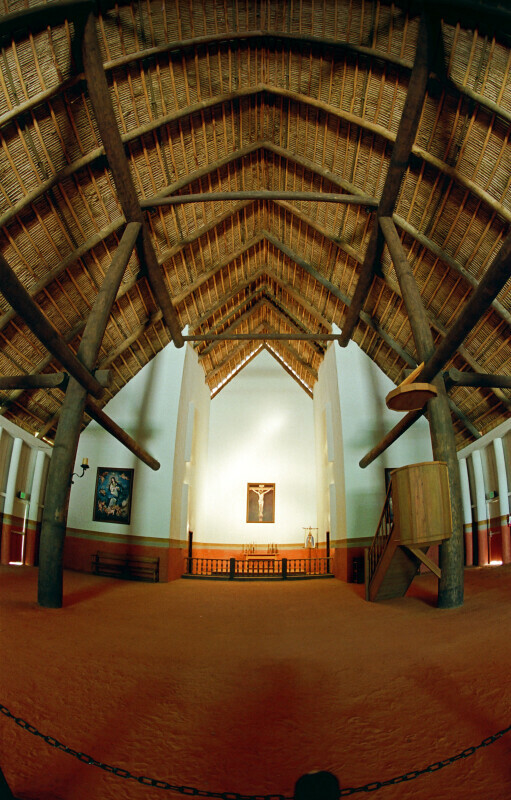 A fish-eye view of the reconstructed church interior at Mission San Luis de Apalachee. One can see the pulpit, the altar, and two paintings. WARNING: You are about to download a 37.3 MB TIFF!